A new cultural-theoretical approach is used to develop a philosophy to overcome post-war traumata, or the traumatization effects that affect entire national cultures. 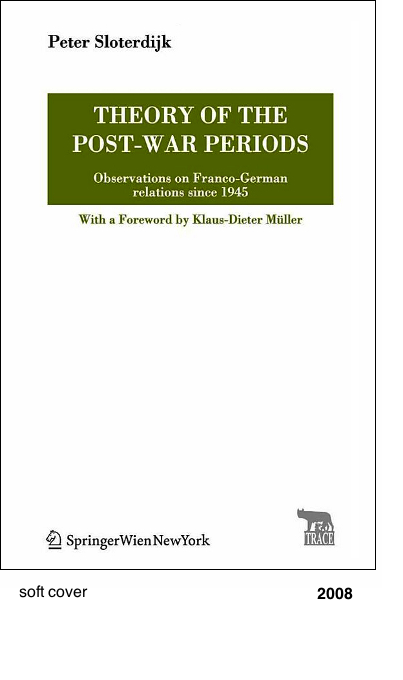 The new aspect is the book’s study of both France and Germany in its discussion of post-war issues. The reader is given insights into the approaches France and Germany took in their self-evaluation processes. In one case the issue is the admission of total humiliation, and in the other it is salvaging a certain sense of national honor. The book overcomes the speechlessness on the post-war issue that can still be observed in German/French philosophy today.